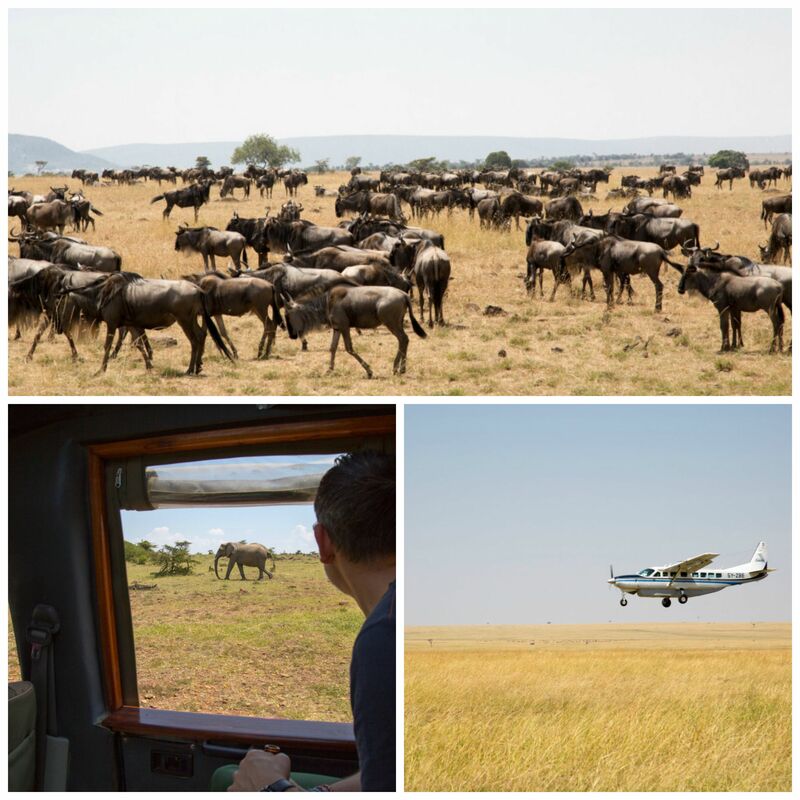 People usually refer to a safari experience as a “once in a lifetime” thing. But my intention is to repeat at some point in my life. This was certainly one of the most amazing trips I have had. 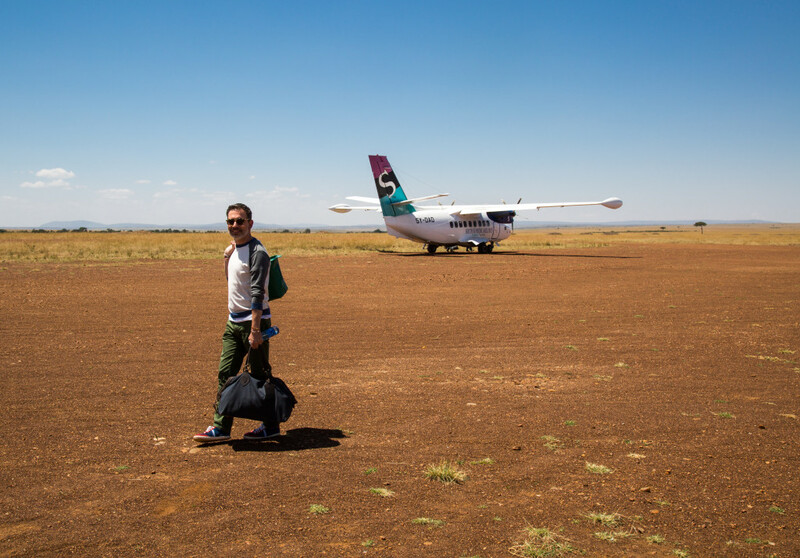 We woke up ridiculously early to fly from Nairobi to Mara North Conservancy. The flight offered spectacular views of the area and I could´t help but felt really excited when I spotted the first herd of zebras (which can also be called a dazzle). 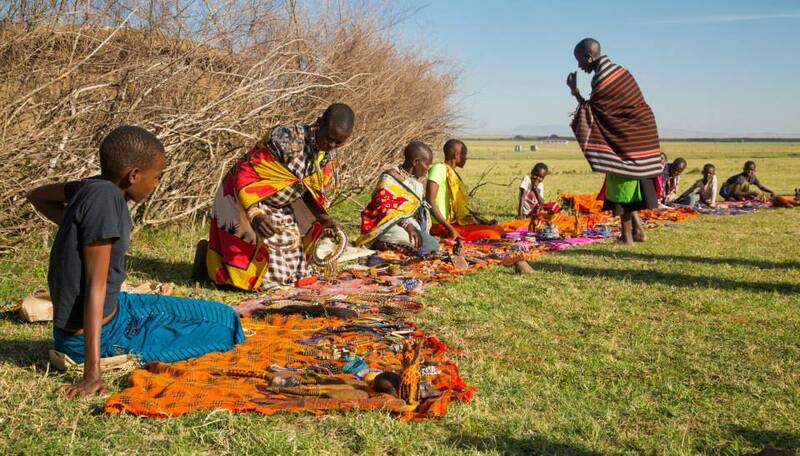 When we landed we were greeted by our two Maasai guides and started a few hours drive to the camp. 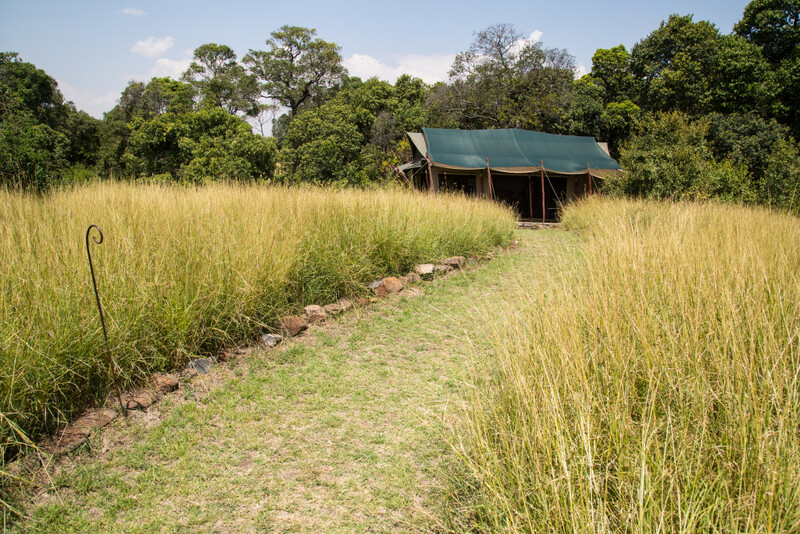 Offbeat Mara offers a tailored safari experience. 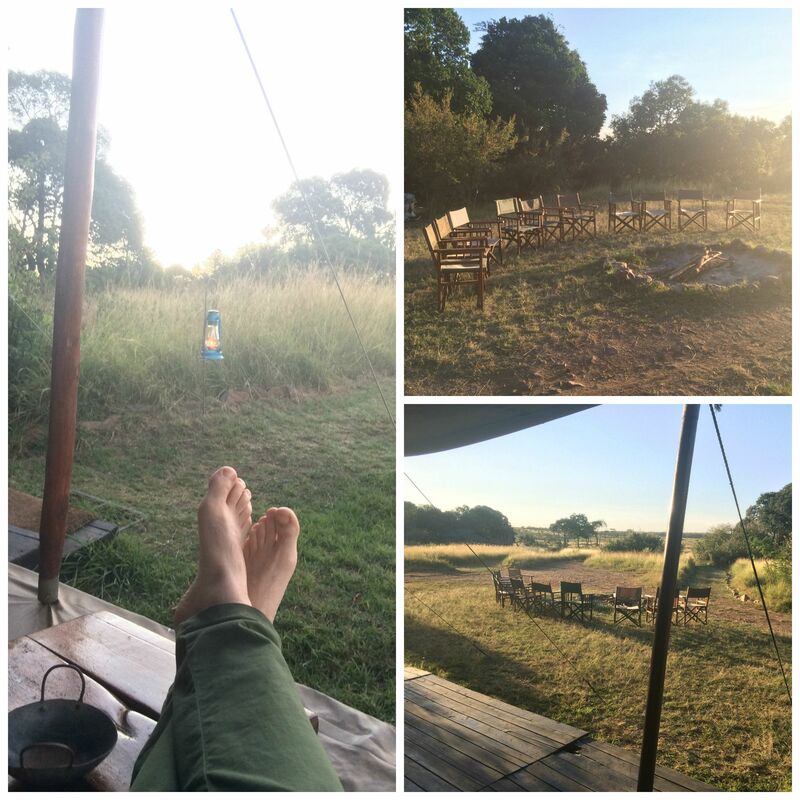 The wildlife is breathtaking, but the comfort of the camp when you come back from a long day is a luxury. We were welcomed by Kyle and Lara with fresh wet towels and our luggage was taken care of while we had a cocktail in the main tent. 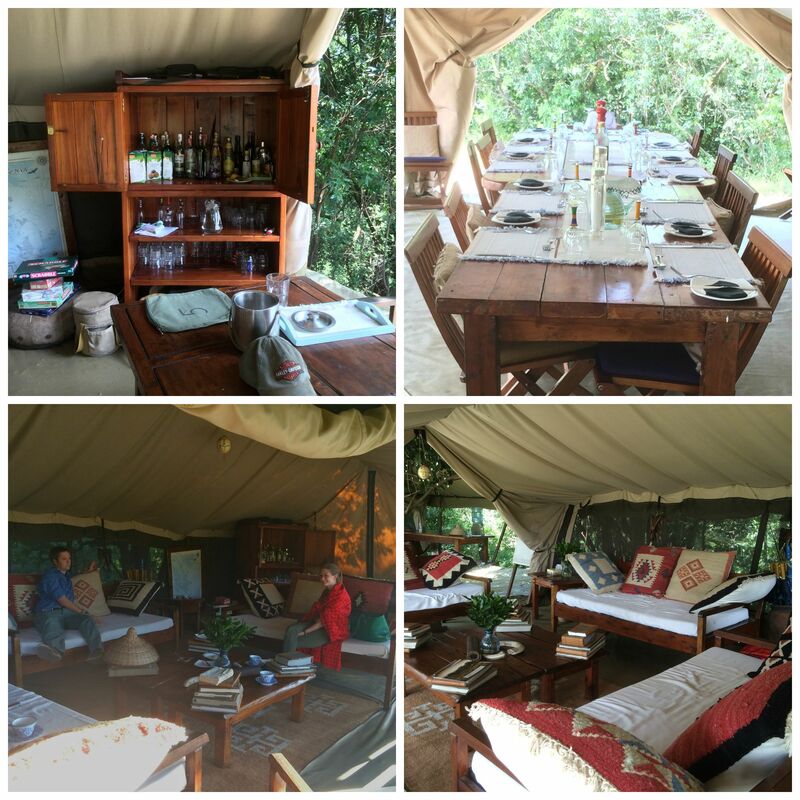 The big tent has a lounge area, dinning room and an open bar. You can´t help but feel special with such good hospitality. Although you can choose to have your meals in the privacy of your tent, we decided to join the rest of the guests every time. We met very interesting people from different countries and with amazing stories to tell. There is a campfire every night. It was great to have a drink and a chat around the fire before supper. Then the conversation would follow over three courses and nice wine. Although I barely had any sleep the first night, the best aspect of this camp is that there are no fences. 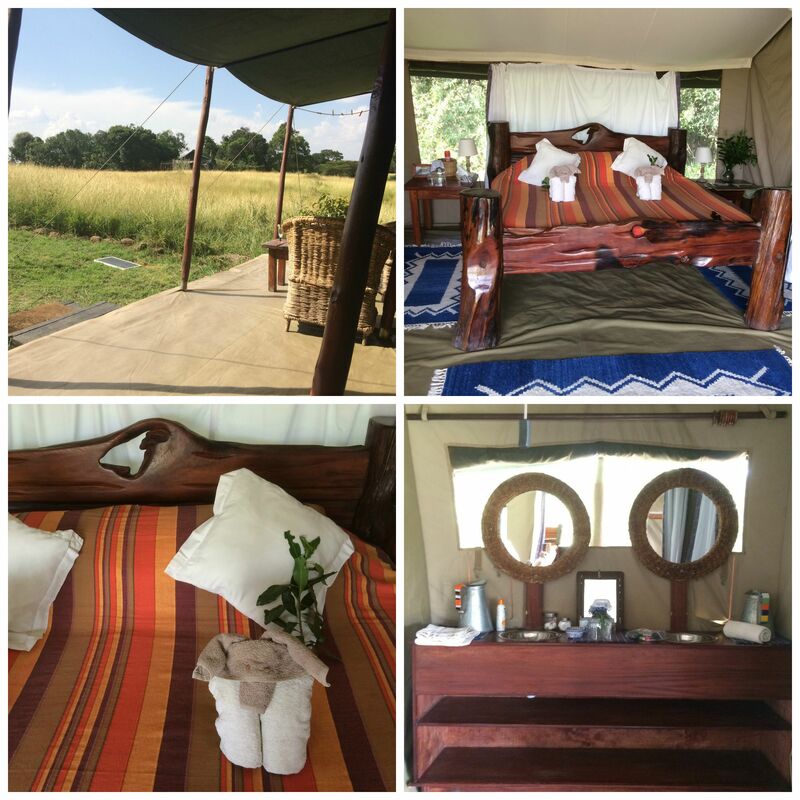 Only six tents with total privacy, a full bathroom and plenty of comfort. But they are open to the wilderness. 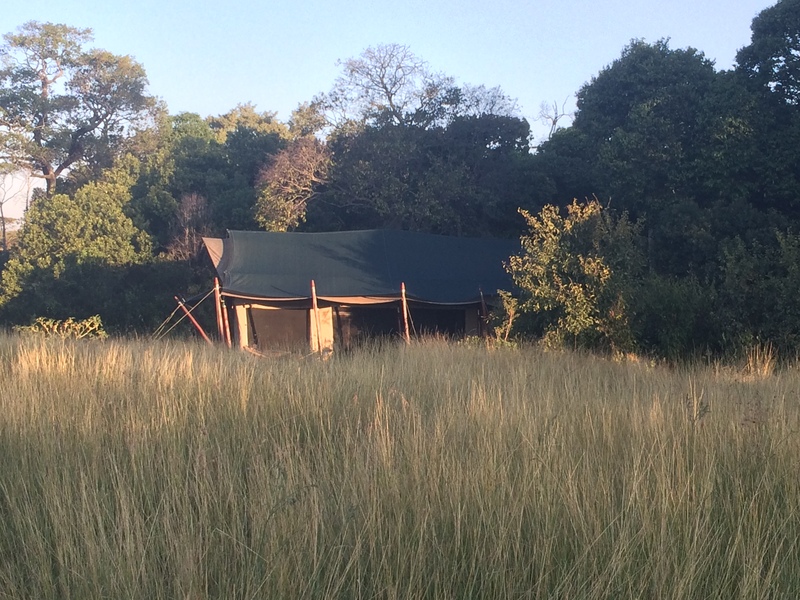 When in bed I heard lions, elephants and all sorts of monkeys and insects by the tent. They were literally by the tent! During the night guests have to flash a torch and one of the guards escorts them to the main tent. Quite an experience. 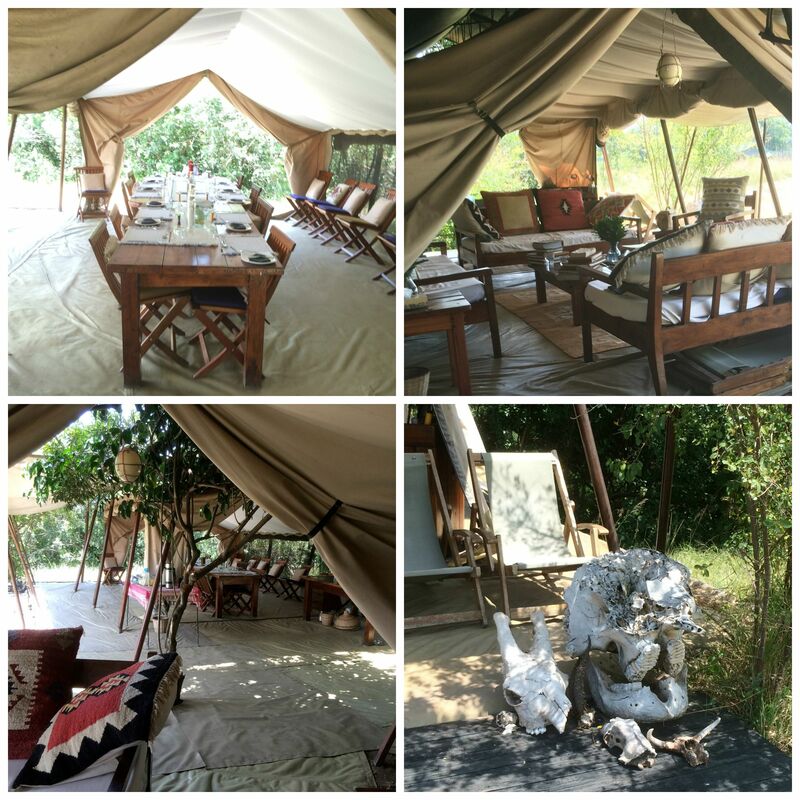 This was tent number 6, our own private piece of the Maasai Mara. We had to choose at what time we wanted the shower. Then some hot water would be brought to us and pulled up to the top of the tent to have a perfect working shower (for around 5 minutes). Kyle and Lara make sure you feel special at all times. 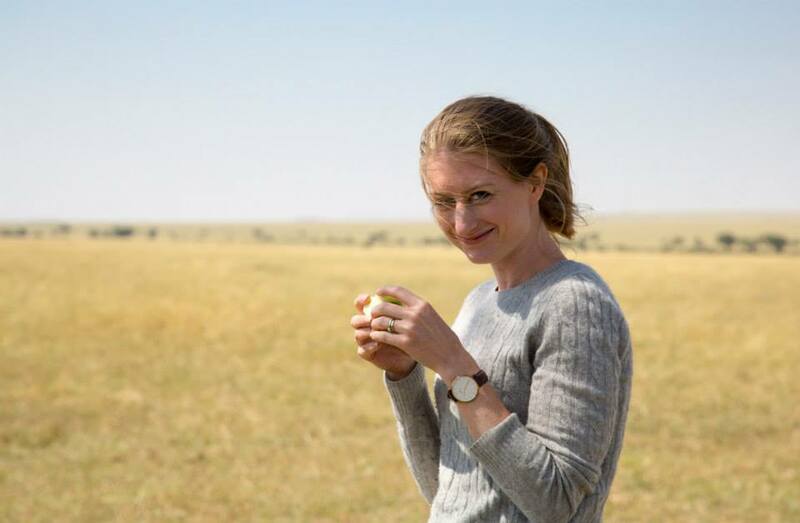 The best part is that we got to choose exactly what we wanted to do and they organised it for us; from a very early sunrise game viewing to sunset drinks in the Mara. We had our own jeep, driver and spotter. When we decided to spend more of the day driving around, lunch and breakfast were packed for us. Later Josephet and Kappen would set up the picnic and offer us drinks throughout the day. 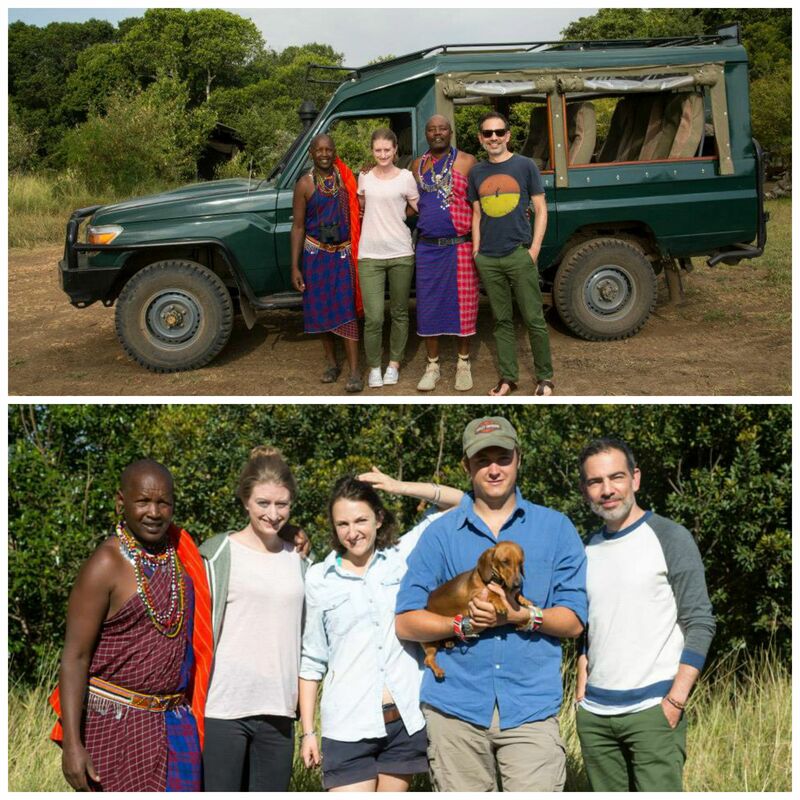 Our Maasai guides Josephet and Kappen are expert spotters and they made sure we didn’t miss any of the big five. 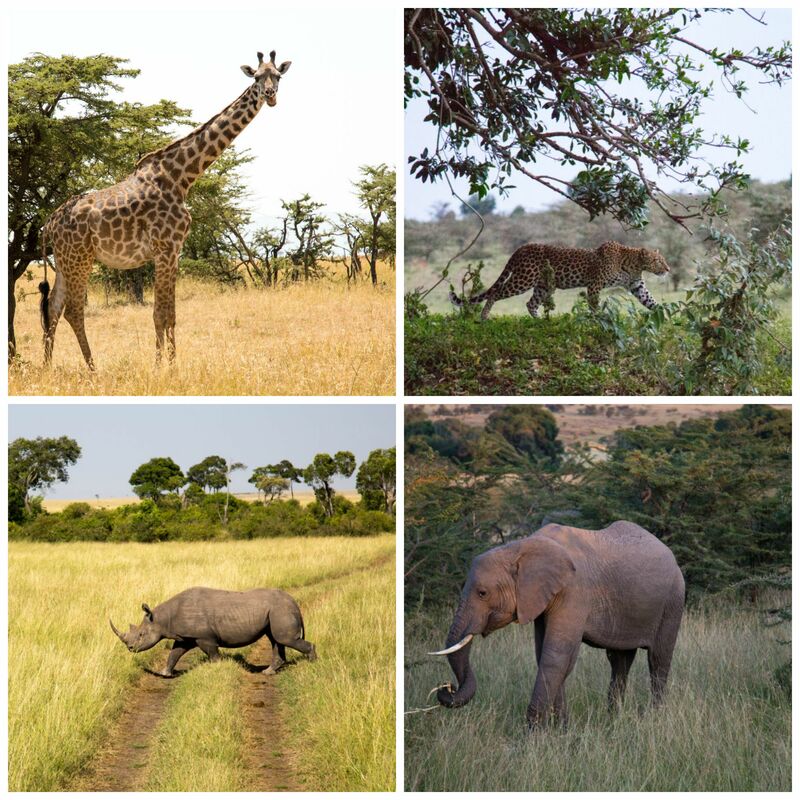 It is a very special feeling to be so close to such beautiful and wild animals who seem oblivious of our presence. I was only missing Attenborough’s voice in the background. 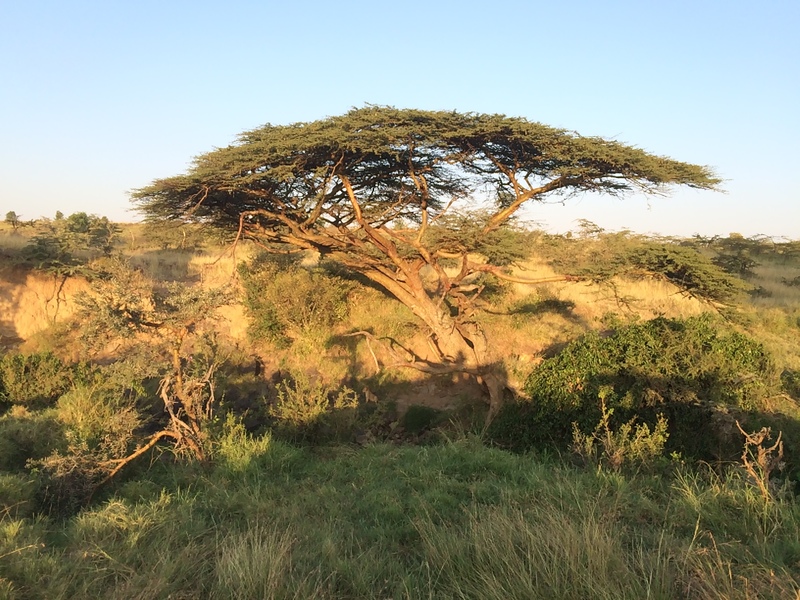 Having lunch by the one tree in the middle of the Mara was quite an experience, needed to recharge the batteries and continue enjoying the game spotting. 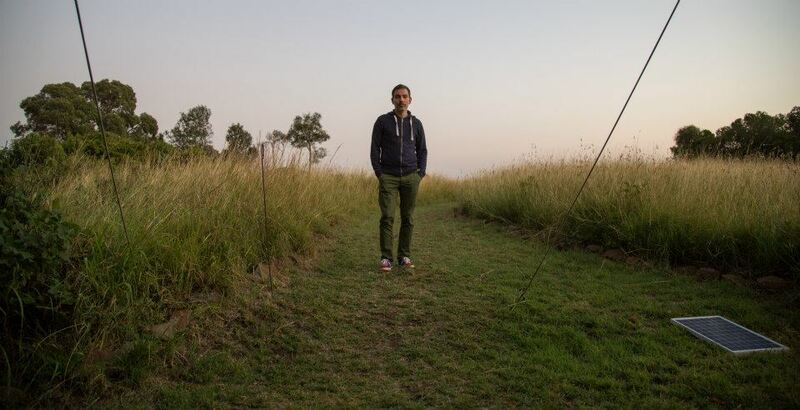 Little Observationist looking gorgeous in Africa. 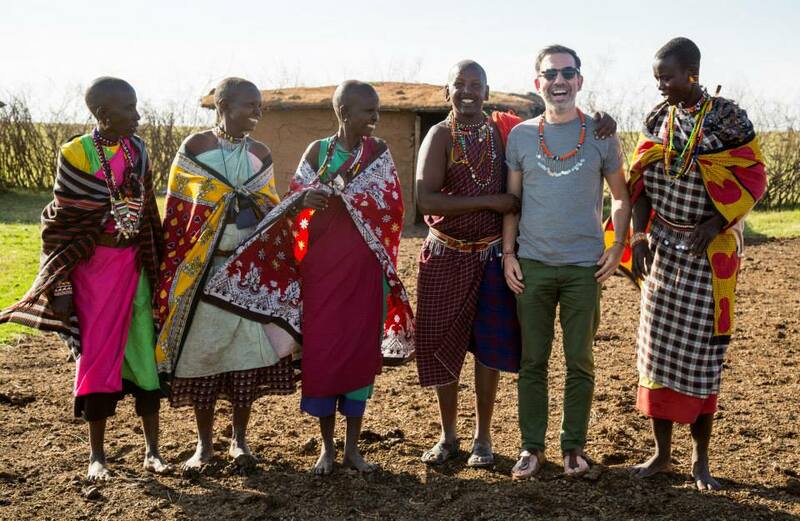 We had the chance to visit a Maasai village where women are in charge of building the houses and managing every detail of the village life. We danced with them and had the chance to buy some souvenirs. We paid this one woman who divides all the income evenly and is in charge of the village economy. The worst part was having to leave. 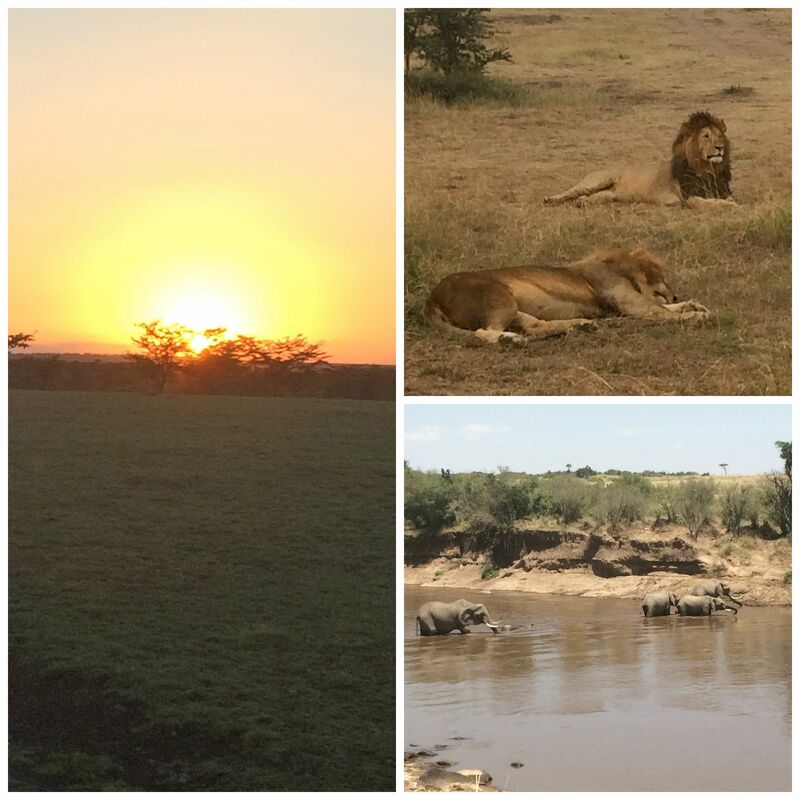 The Maasai Mara is a magical place and I can’t wait to go back to Africa. 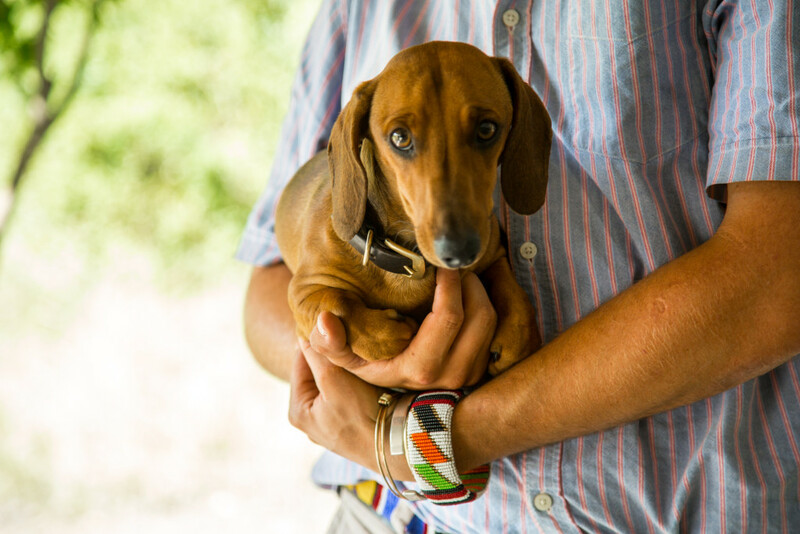 Check out amazing pictures from Little Obervationist. 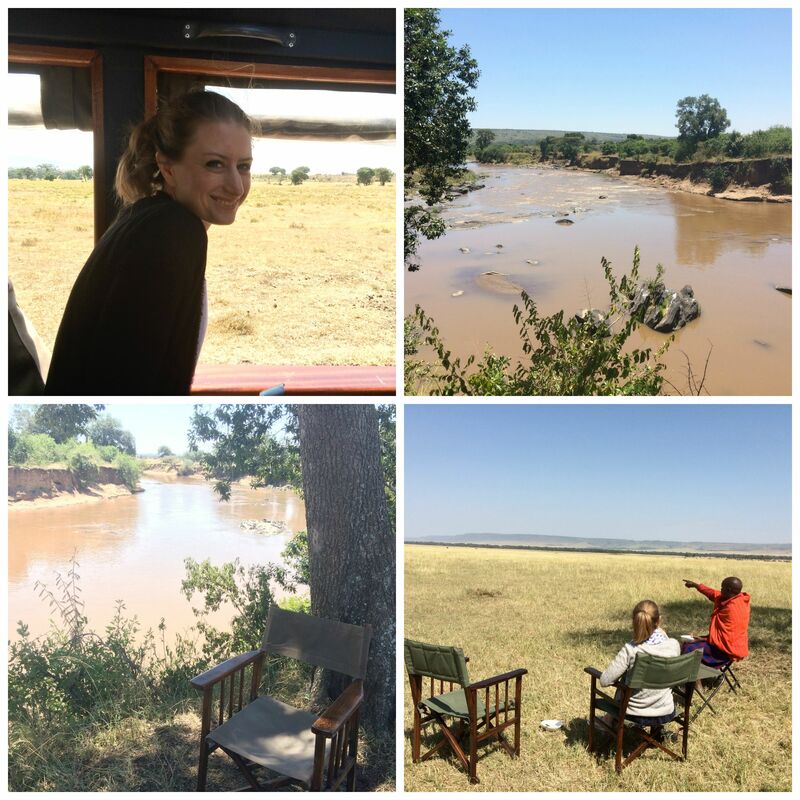 We booked this trip through The Luxury Safari Company who took care of all the shuttles and flights as well as tailoring this experience for us. It is worth checking the website for this and more luxurious experiences. 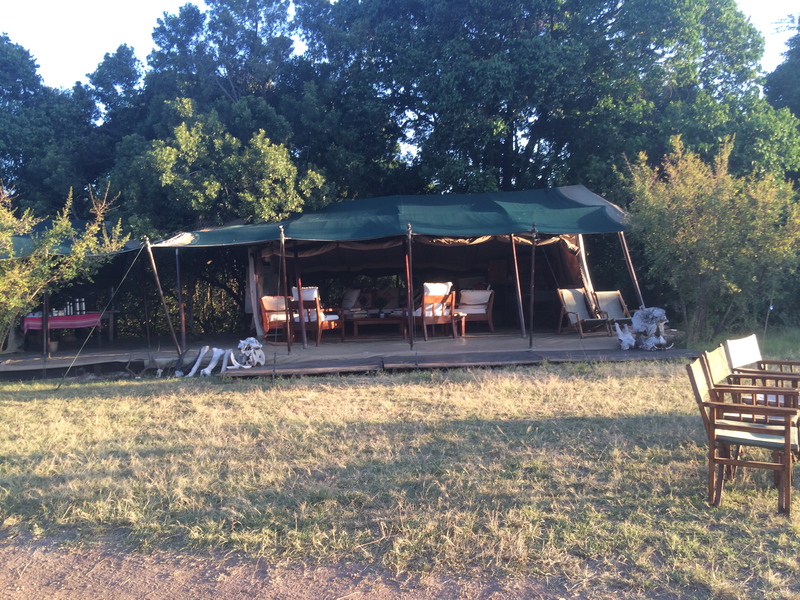 You can also visit Offbeat Mara to see this and many other camps available.